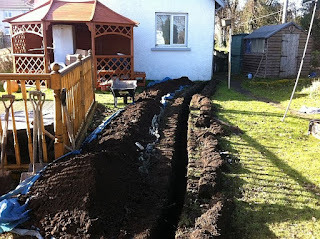 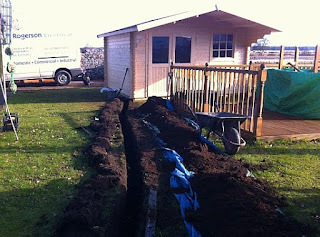 Working in Llandysul this week installing a residential log cabin. 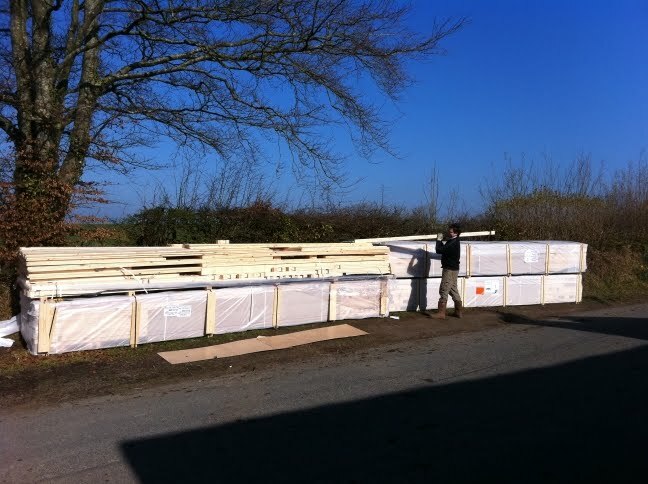 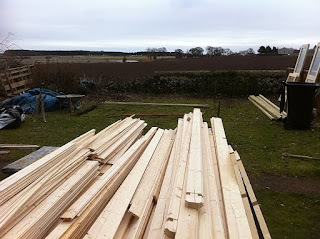 Day one of the installation is simply to move and sort timbers to start the build. This may sound like a relatively simple task and in a way it is though when faced with 4 pallets 6 metres long be prepared for a lot of carrying and a lot of sorting! 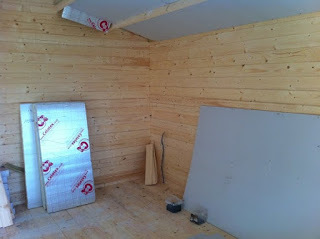 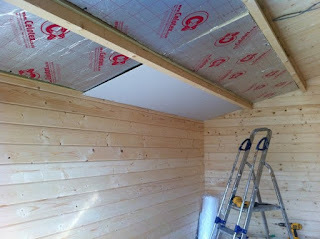 Tomorrow sees the start of the build at which point we will have quite a few more pictures showing the start of a 3 bedroom log cabin taking shape. 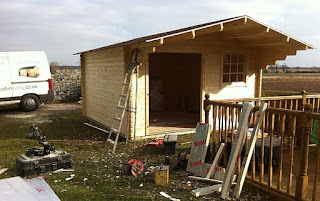 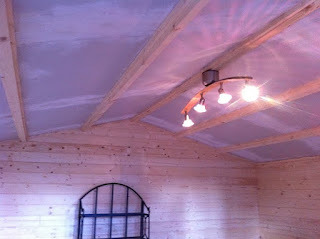 The design is a bespoke 3 bedroom cabin based on the 2 bedroom London log cabin. Bespoke modifications are easily achieved and we can quickly provide a quote for bespoke log cabin designs or specifications. View our residential log cabins. 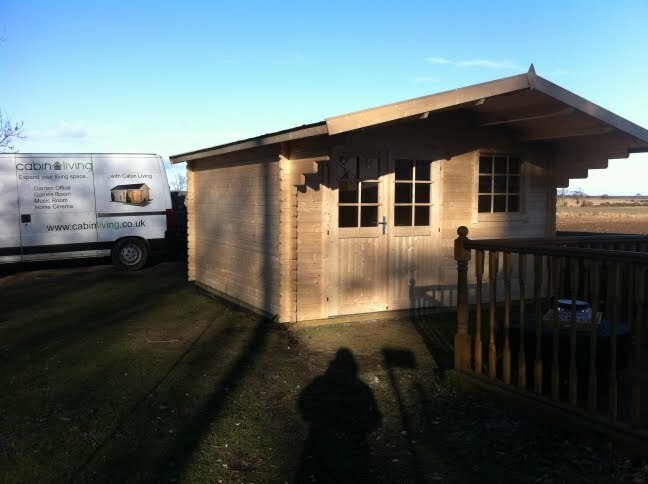 Many of our existing garden buildings are well suited to business start ups or starting cottage industry at home. Whether it is a craft workshop, woodwork, artists studio, writers studio or jewellery workshop. 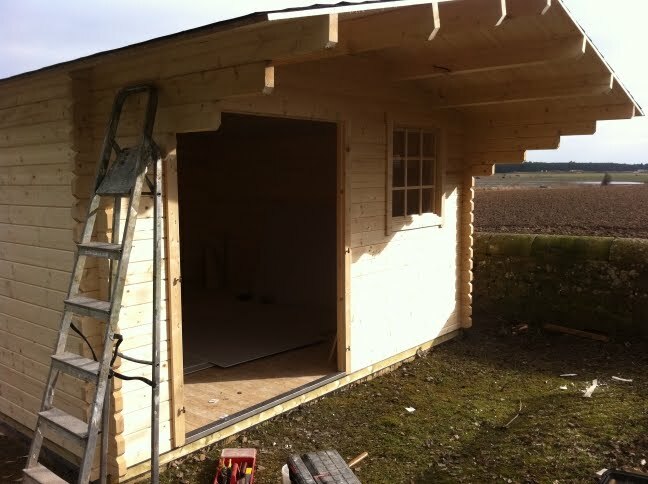 Recently we have complimented our range with more garden buildings integrating garage or storage space with adjoining workshop space. 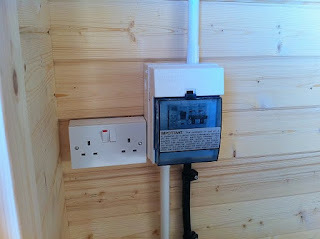 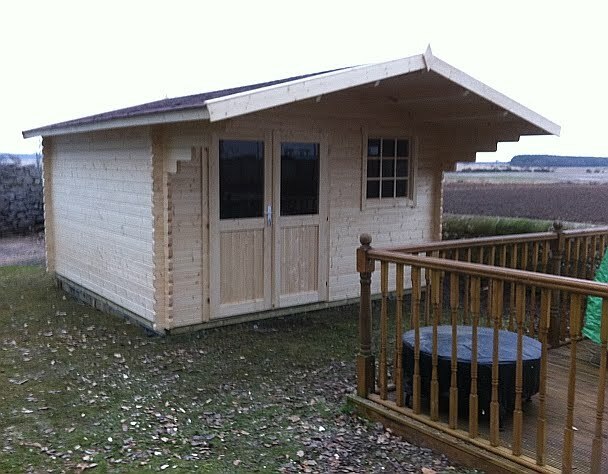 Many of these are listed within the wooden garage section of the website though there are many more options suitable for a broader range of budgets within our main log cabins for sale section. 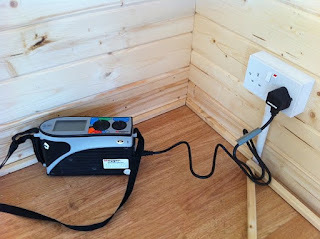 For further details on our garden workshops please browse our main site. Lugarde log cabins and garages coming soon! 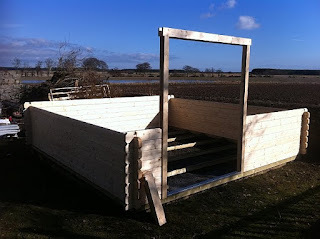 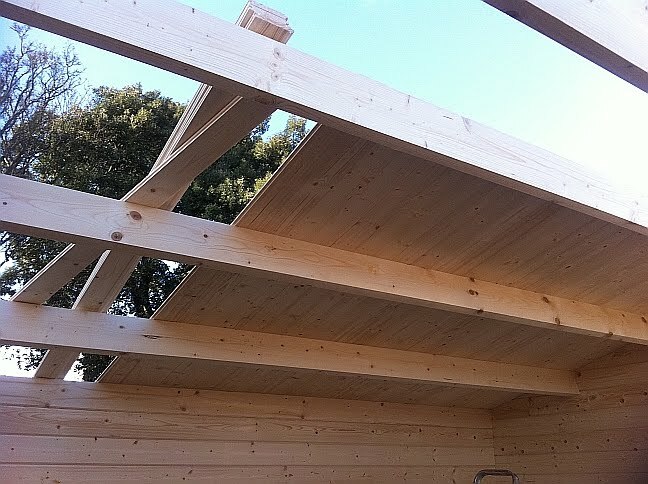 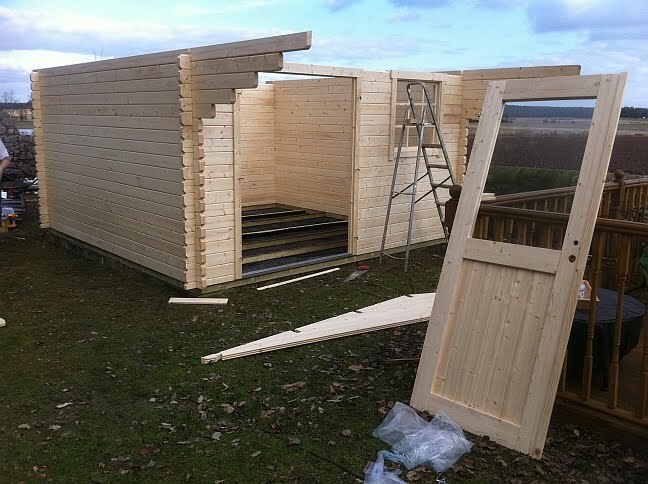 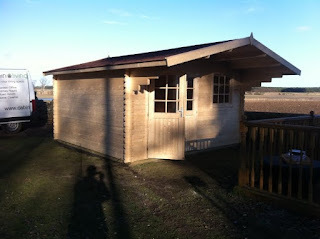 We are in the process of adding Lugarde log cabins to our product range this week. 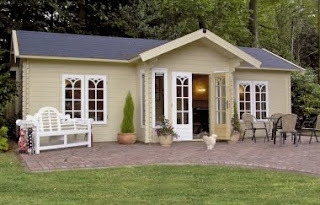 Renowned for their quality and versatile deisgn service Lugarde cabins offer high quality garden buildings which reflect the core of Cabin Living's product range. A fine example is the luxury log cabin known as the Lugarde Daisy log cabin pictured here. 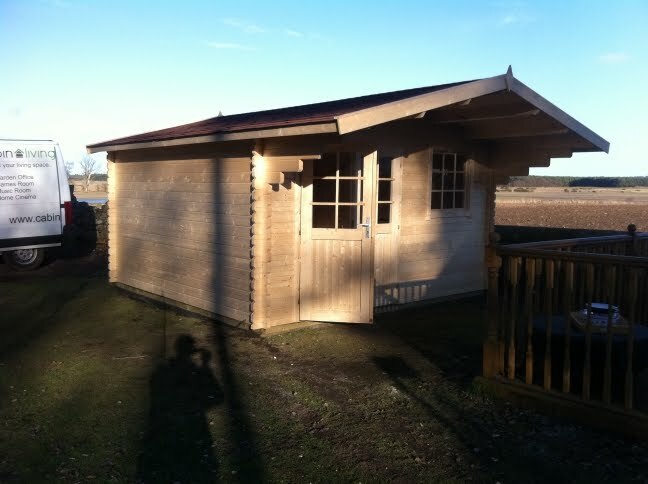 Please browse our log cabins catalogue for further updates during the week. 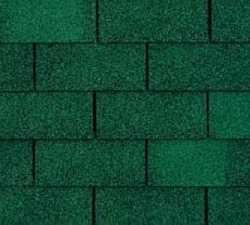 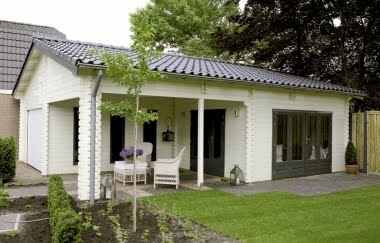 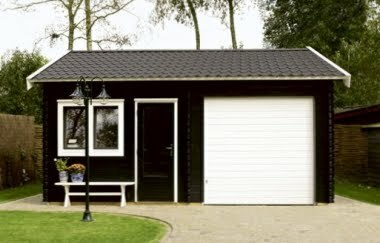 Bitumen roof tiles provide long lasting protection for garden offices, garden rooms and garden sheds. 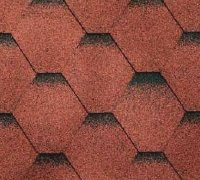 Available to purchase with home delivery for £10 per square metre with low delivery fees depending on distance and quantity. 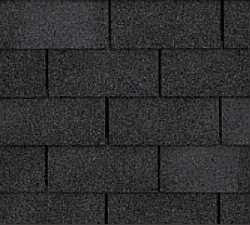 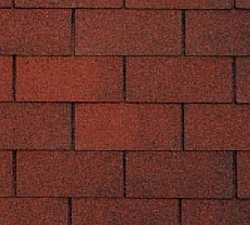 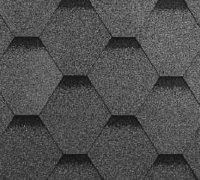 Discounted bitumen roof tiles available for larger quantities including free delivery. 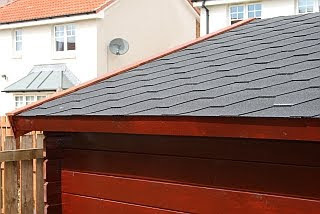 Attractive and long lasting protection for your garden building roof.